After undergoing open-heart surgery, patients come out of the operating room under deep anesthesia. During the crucial first hours after the operation, patients require support breathing. 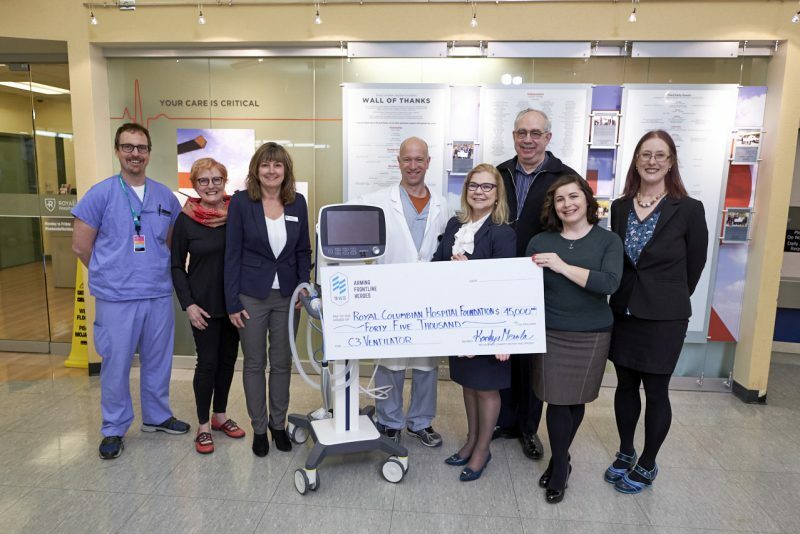 TB Vets Charitable Foundation has helped to purchase a special ventilator that will assist hundreds of post-cardiac surgery patients. As B.C.’s busiest cardiac care centre, Royal Columbian Hospital is the only hospital in the Fraser Health region providing open-heart surgery for more than 1.8 million people from Burnaby to Boston Bar. We perform more than 1,000 open-heart surgeries per year.